I want to see my kids face light up with happiness and to do anything they want as long as they're enjoying themselves. Never went as a kid, so now I want to go! When I was younger my mum used to take me to a Disney every weekend. This sparked my love for Disney and since then when I discovered there were Disney Parks, my love grew even bigger! Now I just have to save up an dream even bigger! Hopefully by Summer 2022 I'm either working at Disney on summer exchange programme or on holiday! Go w/ my whole family to DisneyWorld once I have all 4 of kids & they meet the height requirements for at least the kiddy rides. I may not be a child but everyone deserves their to have a nostalgic dream come true at least once. Dear Cinderella I will meet you one day. Again it’s something that I’m doubtful I’ll be able to do due to my health and financial situation but I would give anything to go on a family holiday here. I wanted to see what it would be like to be a child again. I've always wanted to go to Disney World. It just seems like that trip that everyone should go on at some point in their life. I know I would have a blast and would make a ton of great memories! Take a selfie with Mini Mouse! Who doesn't want to go too Disney World? It brings out the kid in everyone! I've already been to disneyland Paris and would love to go to disneyworld Orlando. I never went and still want to take my son while he is young. go to disney world. i wanted it as a 15th birthday gift but my parents are cheap scams. 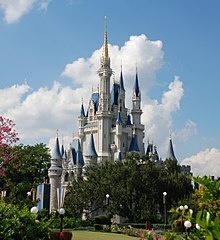 I've been to Disneyland quite a few times, but because I've been in California my whole life, I've never been to Disney World. It's so much bigger than Disneyland, and I'm so excited for whenever I can go! Every little kid wants to go to Disney World. As a child my parents always said I could go to Disney World if I was good. At 18 I got to go to Disney World Hong Kong. I still want to go the US Disney world. it's something I always wanted to visit as a kid. Now that I have children of my own, the next best thing to do is let them experience it and have the kids be brought back out of me again too. I Feel Like I'm The Only One Who Hasn't Experienced Disney World. Plus I Really Want To Ride The Teacups & Meet Cinderella.